'Not Just A Number On Paper': Arizona Home Care Keeps Costs Down : Shots - Health News Can for-profit insurers save money while providing proper care for some of the sickest patients? For years, Arizona, a state that doesn't often champion government programs, has been enlisting private companies to manage the care for people eligible for both Medicare and Medicare. Can for-profit health insurance companies be trusted to take care of the nation's sickest and most expensive patients? Many states, under an initiative supported by the Obama administration, are planning to let the companies manage health care for those elderly and disabled people covered by both Medicare and Medicaid. Patient advocates have warned that private health insurance companies are ill-equipped to provide the complex medical care and at-home services many of these people need to survive. It turns out that Arizona, a state that has been known to resist federal health programs, has been doing just that for many years. In Apache Junction, east of Phoenix, a sparsely filled nursing home stands as a stunning achievement for Arizona's public health insurance program. Only half of the rooms are filled, and the men and women who live here — too disabled in mind or body to return home — seem surely in their last days. "These are folks that have chronic cognitive and/or physical disabilities that in most cases are not going to improve," says George Jacobson, the nursing home administrator. Mercy Care case manager Dave Oxford (left) checks in with his client, Joseph Ford. That sets Arizona apart. Of those Arizonans covered by Medicare and Medicaid and deemed sick, frail or disabled enough to live in a nursing home, only 27 percent of them do. The rest live in assisted living facilities or at home. Joseph Ford sits in his well-worn easy chair in the living room of his suburban Phoenix home. He's 42 and disabled from a car accident. His attendant has just arrived and makes her way into the kitchen to prepare dinner. Later, she'll change the sheets on Ford's hospital bed. It's pushed against the wall in the entryway where he sleeps every night, since Ford can't make it up the stairs. His house is busy today: Dave Oxford, the case manager from his health insurance company, is here too. "All right, Joseph," Oxford says. "So you have not had any recent medication changes. I have listed here that you're on Lyrica at 100 milligrams, is that correct?" Oxford works for Mercy Care, a subsidiary of the insurance giant Aetna, which is paid with public dollars from Medicare and Medicaid. He visits his clients in their homes every three months to monitor their conditions and assess their needs. Do they need a new wheelchair? A bar installed in the bathroom? Help with groceries? "The care doesn't end at the home visit," Oxford says. "If there's a need that arises between the quarterly visits, then we ensure that's taken care of. And I think that's a big part of how we maintain people in their home, as opposed to in a nursing home." The health plans that compete for Arizona's combined Medicare-Medicaid patients receive a fixed monthly fee. The companies are then expected to cover all of a patient's needs. Critics have long argued the incentives for companies to keep the cash and withhold care are too great — the potential profits too tempting. And they point to the scandal-filled 1990s when some HMOs kept costs down by denying treatment. Today in Arizona, though, patients like Joseph Ford and advocacy groups say the health plan case managers are less like Grim Reapers and more like guardian angels. "Dave is cool," Joseph tells me. "He's in my cellphone." "I appreciate somebody on the other side not only looking out for my well-being, and not just looking at me as a number on a paper," he says. Ford is a number on a paper, of course. A big number. Nine million people nationwide are eligible for both Medicare and Medicaid, and their care costs some $300 billion a year. Arizona though, unlike other states, has long paid private health plans to manage care for public beneficiaries, and that has saved a lot of money. Arizonans in nursing homes cost the state $5,400 a month for custodial care. If kept in their homes, the cost is $1,400. But Arizona's fervent belief in the free market — having those private companies run public benefits — doesn't mean it's the Wild West. Insurance executives, hospital and provider groups, and advocates say state regulators are vigilant and quickly rebuke plans that don't meet their strict standards. "There are a number of different metrics we look at on a very regular basis, that look at access to care," says Tom Betlach, who oversees Arizona's Medicaid agency. "Are the members getting the access to care that they need? Making sure there aren't any gaps in the system. We're looking at the quality measures to make sure that they're meeting the standards within the contract." Arizona's system appears to be working. Arizonans eligible for both Medicaid and Medicare enrolled under one managed care plan were far less likely to be hospitalized or put in nursing homes than those in traditional fee-for-service plans. They used the emergency department less frequently, too. When they did end up in the hospital, they spent far fewer days there and were readmitted less often. There's widespread consensus that Arizona's model works because it pays higher Medicaid rates than most other states. Even with a recent rate reduction, nearly every physician and hospital here accepts Medicaid patients, and health plans reap about a 2 percent profit. 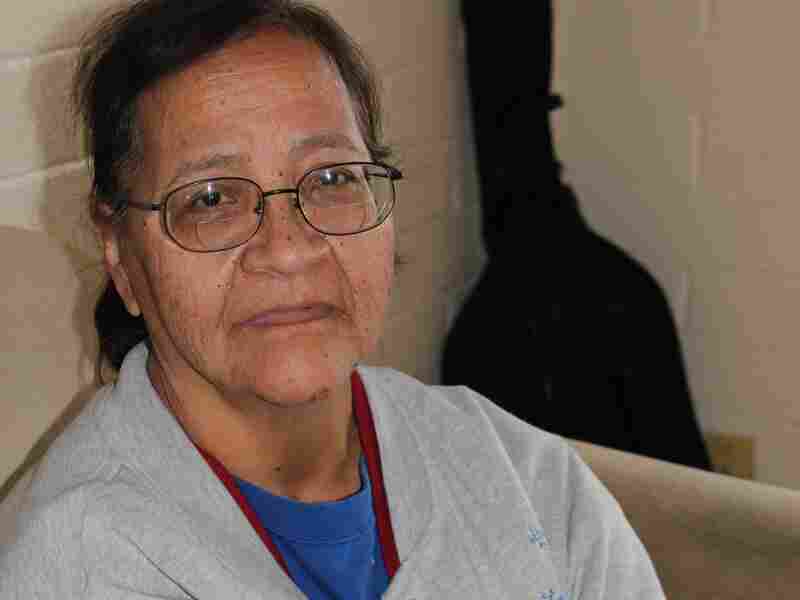 Luz Sepada, 59, lives in South Tucson, Ariz. Before the University of Arizona Health Plan assumed control of her medical care, Sepada was hospitalized 10 times in one year. After she was assigned a UAHP case manager, Sepada has been able to stay at home with no trips to the emergency department. Still, James Stover, head of the University of Arizona Health Plan in Tucson, cautions other states looking to replicate the Arizona model that the system is fragile, and healthy payment rates are a vital element. "If the rate drops below a certain amount, it will make our job more difficult. There's no doubt in that," Stover says. For now, though, Stover says health plans continue to see a business opportunity in perfecting Arizona's model. There's still more wasteful and unnecessary medical care to be stamped out. It's a day for celebration at the South Tucson home of Luz Sepada. Her husband picks at his guitar, marking 60 days that Sepada has stayed out of the hospital. Her case manager, nurse Martha Rodriguez, sits across from her, under a painting of the Virgin Mary. When the two women met, Sepada had just been enrolled in a state-funded Medicare-Medicaid program run by the University of Arizona Health Plan. Rodriguez was first dispatched to Sepada's hospital room to figure out why the 59-year-old with congestive heart failure kept ending up in the ER: 10 hospitalizations in one year alone. "I was looking to see: Who was at home? Who was helping her?" Rodriguez says. Rodriquez went to her medical director with a list of services she believed would stabilize Sepada and spare her the trauma of so many hospital trips. Sepada says she was relieved to have Rodriguez's help. "I trust her [Martha] because they've really been working close with me," Sepada says. "They're constantly calling me, 'How are you feeling?' You know, they really care for their patients." This is the kind of in-home attention that advocates say disabled and elderly people need to live their lives, and that health economists say is crucial to controlling spending. Sepada doesn't think much about that: The nurses give her simple comfort. Sarah Varney is a reporter with our partner Kaiser Health News, a nonprofit news service.